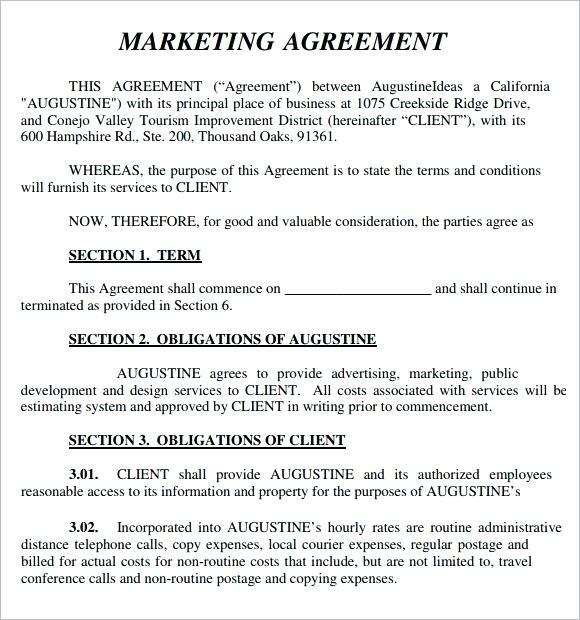 A marketing agency contract is a legal document that cements the relationship between the digital marketer and the client. 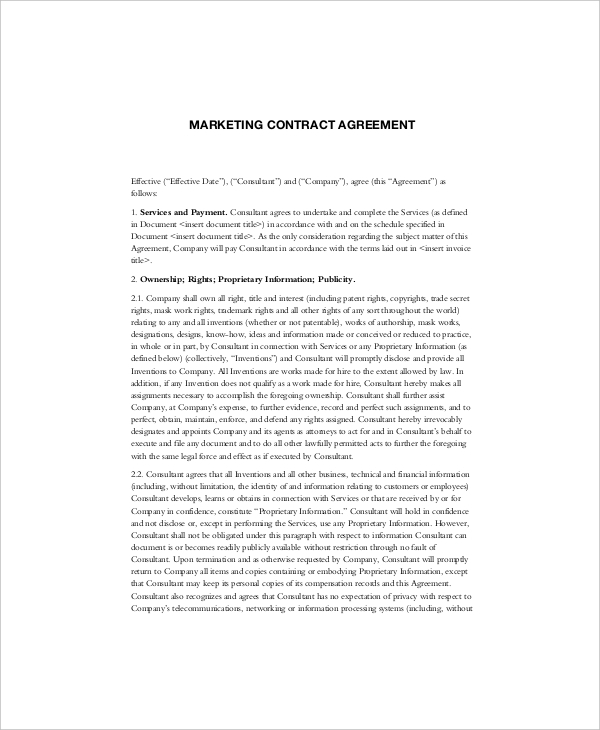 Regardless of the nature of the agreement or business relationship, digital marketers are always advised to sign this essential document because this document acts as a protection for both parties. This is because the marketing agency contract provides clear and specific details about the roles to be played by each party, what is to be expected by the client and when the digital marketer is to be compensated. Contracts also help avoid "project creeps" where one task morphs into many different functions that result in more work for which the marketer will not be compensated. Thus, with the contract in place, both parties are guaranteed of returns from the deal. Depending on the task at hand, a marketing agency contract can be a simple one-page document, or it could be 50 pages long. However, marketing contracts will share some common elements that cannot be ruled out regardless of the size of the document. Another thing to note is that the language should be simple and understood by both parties. Writing the contract in a complex legal language will complicate the document for the client, and even lead to delays in signing it. First, the marketing agency contract should specify the parties the agreement binds. These details include the legal names of the businesses as well as their formal addresses. You can then assign particular tags like "client" and "contractor" after citing the legal business names first. This identification process mitigates any confusion as to whom the contract addresses. Thus, always confirm from the client these legal details before you create the document. It's always important to specify when the project starts and ends, as well as what constitutes the conclusion of the project. Retainers usually run on a set start and end date. It's also important to note that project plans don't always run according to the timelines specified in the contract. Stipulating the range of work has numerous advantages, the best being that it protects the digital marketer from "project creeps." The changing project scope means that there will be extra tasks which were not considered in the payment amount initially agreed upon, and therefore you will not be fairly compensated. The extra work will also slow the project down and potentially cause a breach of contract due to the extended project duration. This is why it is essential to include a clause that clearly defines the scope of the work to be done. Including this information gives you grounds to sue if the client fails to provide total payments even after you’ve delivered all that was expected of you as defined in the contract. What tasks were agreed upon? What are the tangible deliverables of the services? What is required of the client? How many revisions are allowed before overtime project fees are applied to the changes? As you work with the same client on several projects and build a trusting relationship, you might be tempted to reduce the formality and omit some clauses from the contract. However, you should resist this. Ensure that you include all the critical clauses, including provisions on how premature termination of the agreement will be done to protect your interests in case of any disagreements.